(l to r) Alex C., Richard G., Dan L., Matt B., Robert B. We had very successful January meetings for SCCAN and FCUG. A variety of topics were discussed. Machines were investigated. Software was examined. The first two photos are from the SCCAN meeting. 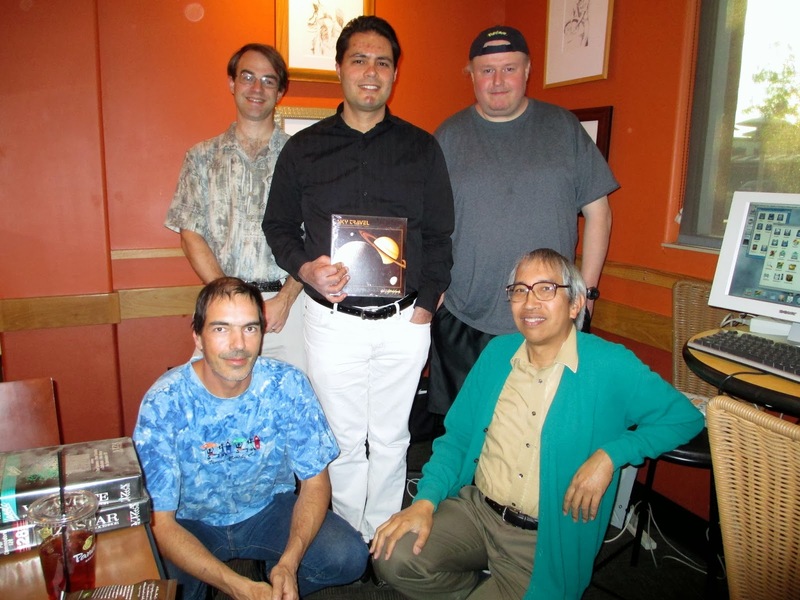 We had a visit from Alex Carmona, OS 4.1 beta tester, and he even remarked that he might bring a beta Cyrus board (if it comes in time) for the March SCCAN meeting. The NOS software shown in the first two photos is courtesy of Computer Station in Long Beach. 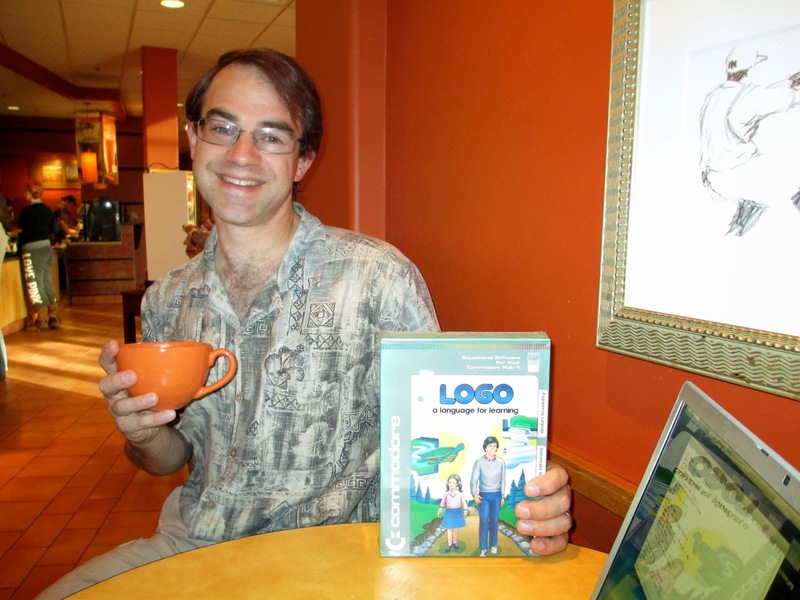 The last photo is from the FCUG meeting. 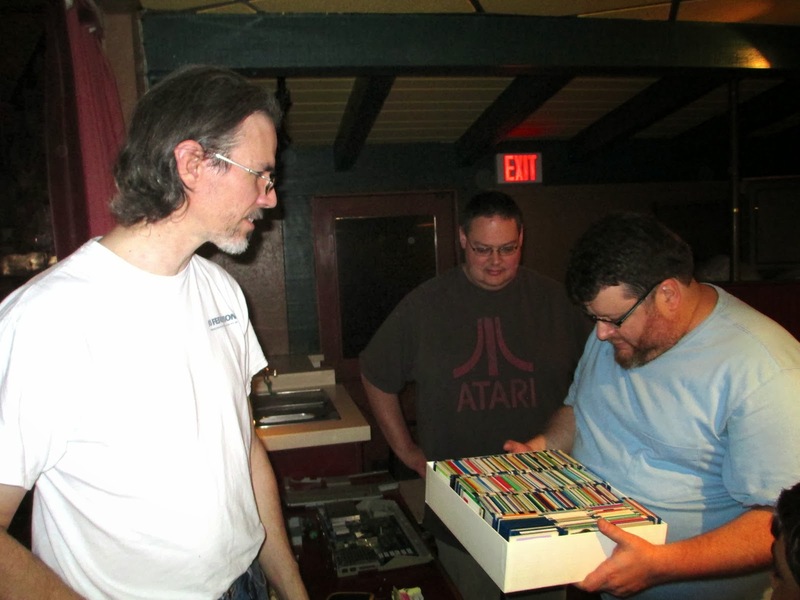 Members Greg and Louis are shocked when Richard C. brings in a pile of Amiga game disks to give away.